William Byron hopes his next race at Phoenix International Raceway goes better than his first one when he returns to the one-mile track for Friday’s Lucas Oil 150 (10 p.m. ET on FS1). Last season, the 18-year-old Charlotte native made his NASCAR Camping World Truck Series debut at Phoenix, finishing 31st after crashing on the sixth lap. He returns to the Sun Devil State in his 2016 campaign with a series-leading six wins, 10 top fives and 15 top 10s. More importantly, Phoenix is the only obstacle separating Byron from a Championship 4 berth at Homestead-Miami Speedway. Heading into Friday’s race, he ranks second on the Chase Grid, five points above Timothy Peters on the cutoff line. 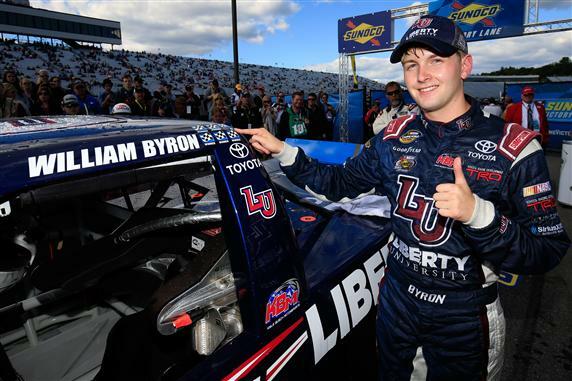 Although Byron had a hard-luck NASCAR Camping World Truck Series finish at Phoenix last year, he did finish runner-up there in the NASCAR K&N Pro Series West race.